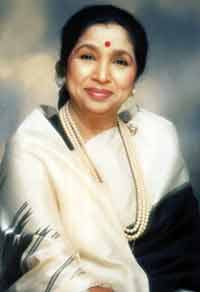 Legendary singer Asha Bhosle has been roped in as the goodwill ambassador for the upcoming Chevrolet Global Indian Music Awards (GIMA). "I am in awe and humbled by the goodwill ambassador role that GIMA has bestowed upon me. I have always wanted to do my part for my industry and encourage new talent and I cannot think of a better platform in India to do so," said Asha, 77. "This is the first time that Indian music has been given its due and being honoured in such a prestigious way. It is my privilege to be a part of this movement," she added. The inaugural edition of the awards will be presented Nov 10 here. The advisory board for the awards comprises of Vijay Lazarus, Bhushan Kumar, L. Subramanium, Shankar Mahadevan, Hariharan, Prasoon Joshi, Karan Johar, Mukesh Bhatt, Rakeysh Om Prakash Mehra, Leslie Lewis, Usha Uthup, Resul Pookutty, Sulaiman Merchant, and Apurv Nagpal and they will review the entries and select the most impactful initiative. GIMA has received an outpour of entries with a record 223 albums, compromising a total of 940 entries. Touted to be the highest number of entries to be obtained for a music celebration, film music album entries tallied to 42 and non-film music entries to over 180 albums. An initiative of Wizcraft International Entertainment, Chevrolet GIMA has been instituted with the support of IMI, T-Series, MCAI and other key constituents of the music industry.